In this tour you will enjoy step by step the preparation of our classic Peruvian dish. 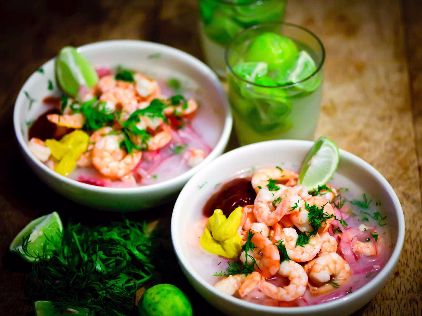 Ceviche is made with fresh white fish and Peruvian limes. Our expert chef “Cevichero” will tell you all the secrets you need to know about how to make this dish same as Peruvians do at your home. The foodie guest could ask questions, get some tips, take pictures and enjoy their delightful Ceviche.